There’s nothing nicer on a sunny Vancouver day than biking Stanley Park! But don’t stop there. The Stanley Park bike route continues on the Seawall to Granville Island and beyond. 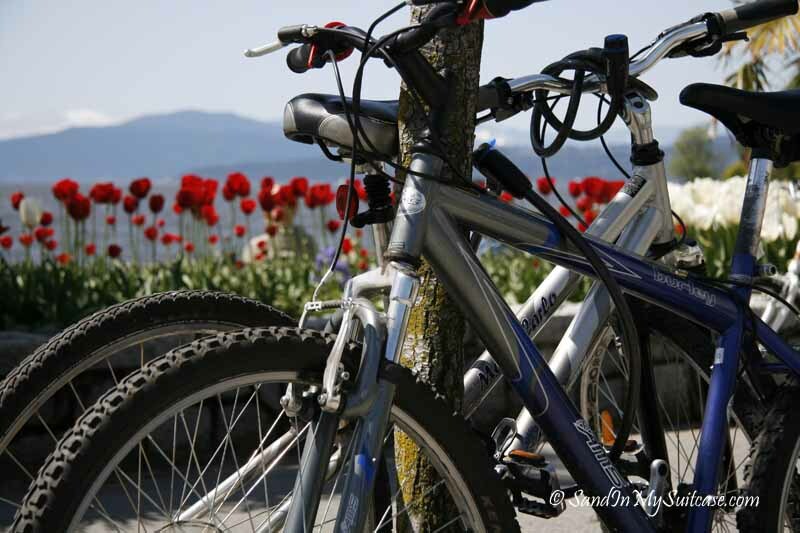 Conveniently-located Stanley Park bike rentals near the park make it easy to get in the saddle and go for a ride. 5 bike rentals in Stanley Park – e.g., Which is the cheapest? Which is closest to the park? Which has e-bikes? Practical information – e.g., How long does it take to bike around Stanley Park and the Seawall? There are no actual bike rentals in Stanley Park. 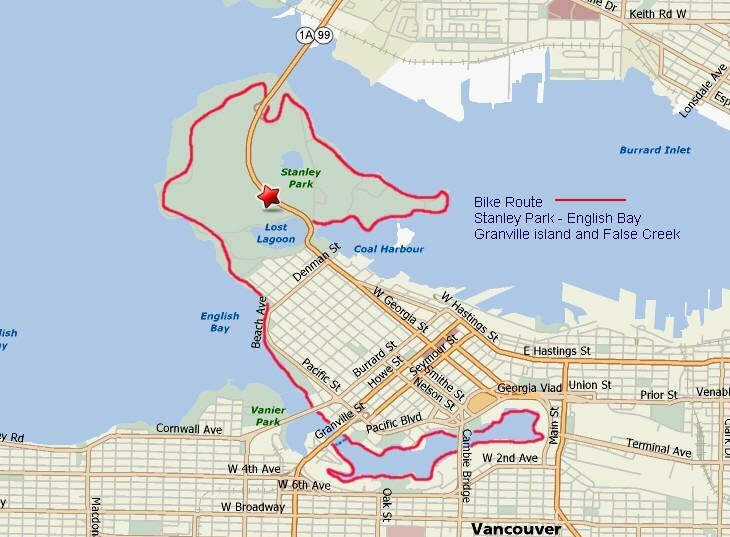 The Stanley Park bike rental shops are located on and around Denman Street, right near Stanley Park. 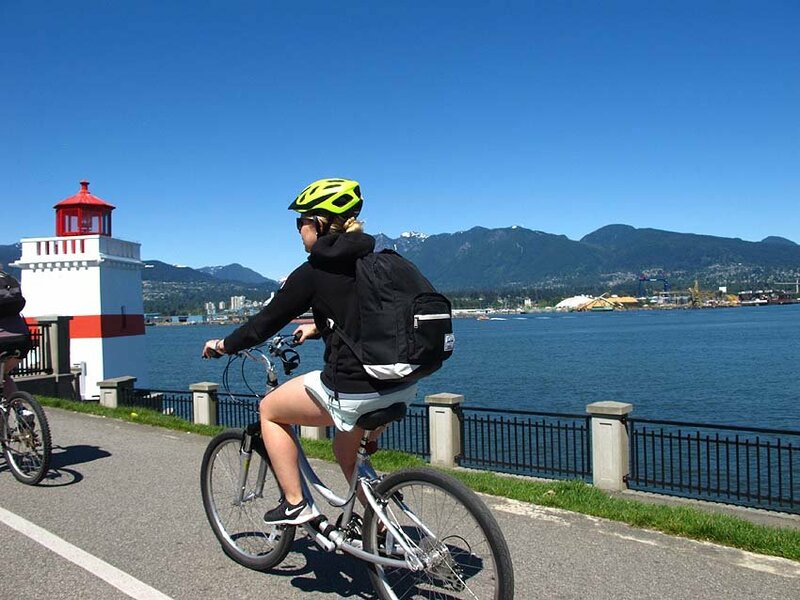 The following are the five most convenient Stanley Park and Seawall bike rental shops. We’ve rented from all of them. Spokes Bicycle Rentals is the biggest and most prominent bike rental near Stanley Park and the closest bike rental to the park (at the corner of Denman and Georgia Streets). Spokes offers a large selection of cruiser bikes with different speeds (tandem bikes too), all very new and clean, and their bicycles are some of the best Stanley Park bike rentals. Minimum rental time: You can rent for just one hour (with an extra charge for each additional 15 minutes). If you’re short on time and can only do a short Stanley Park cycle, Spokes is a great option. 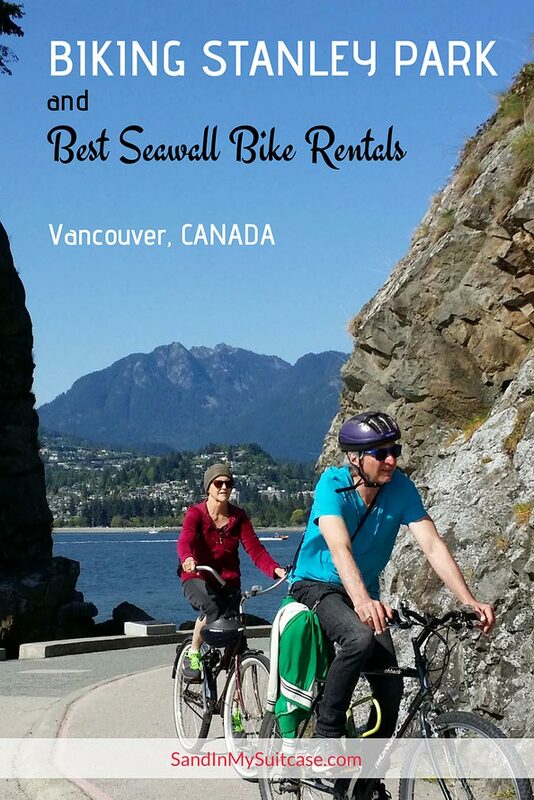 Bike rental rates: Spokes is probably the most expensive of the Vancouver Seawall bike rentals. Their hourly rate is certainly more expensive than some of the other shops listed here if you want to be out for more than an hour. Hours: Now that we have longer daylight hours, the shop stays open later, until 9:00 pm in late spring and summer. This is one of the cheapest, if not the cheapest, Stanley Park cycle rental outfits close to the park. (It’s also one of the cheapest Vancouver bike rental places.) There are two locations. The EzeeRiders shop closest to the Stanley Park entrance is on Robson Street, so you just have to walk a teeny bit further than the other Stanley Park bike rental stores here. (They also have a location near Canada Place, which is super convenient if you’re staying near there.) Need a little power assist? They have great rates on electric bike rentals in Vancouver too. Bike rental rates: At EzeeRiders, you pay by the minute after the first hour (the only shop to pro-rate by the minute). Minimum rental time: You only need to rent for a 1-hour minimum. Hours: EzeeRiders are open until at least 8:30 pm in peak months. Yes Cycle is another great Stanley Park bike rental shop. They also offer guided Stanley Park bike tours (2.5 hours long) taking in the totem poles, Lost Lagoon, Beaver Lake and the beaches. Bike rental rates: All of their regular bikes are the same rate, no matter the style. Bikes come with a basket, lock and helmet. There’s a $15 charge to keep the bike overnight. Minimum rental time: There’s a 1-hour minimum. Hours: The shop is open until 9:00 pm in late spring and summer. Voted Vancouver’s “best bike shop” many times by locals, the folks at Denman Bike Shop are friendly and helpful. This Stanley Park bicycle rental shop also sells a range of city and cruiser bikes. 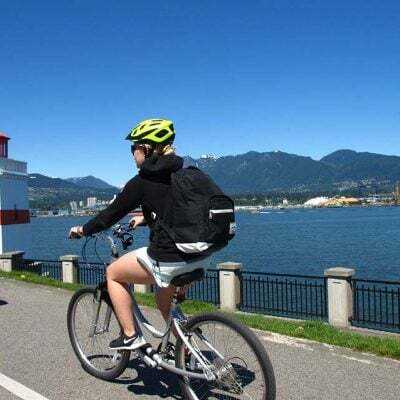 Bike rental rates: If you’re going to bicycle Stanley Park (or further) for more than an hour – and you want to pay a lower Stanley Park bike rental price than at Spokes – it’s worth walking the block-and-a-half up Denman Street to Bayshore Bicycle Rentals. Minimum rental time: The minimum rental is for 2 hours, and they have good rates for long-term rentals (2 and 3 days). Hours: Bayshore Rentals is also open until dusk (which is late in spring and summer), so you have plenty of daylight hours for riding and relaxing, without stressing about returning the bikes before they close. Visiting Stanley Park is one of the best things to do in Vancouver in summer (if not year-round). And move over Central Park! Stanley Park is bigger than you. And dare we say it, more beautiful? Conde Nast Traveler recently named Stanley Park one of the best city parks in the world. We have to thank Vancouver’s original city planners for preserving this 1,000-acre tract of forest as parkland right in the heart of downtown Vancouver. Want to gape at a half-million trees that are hundreds of years old? This is your place. 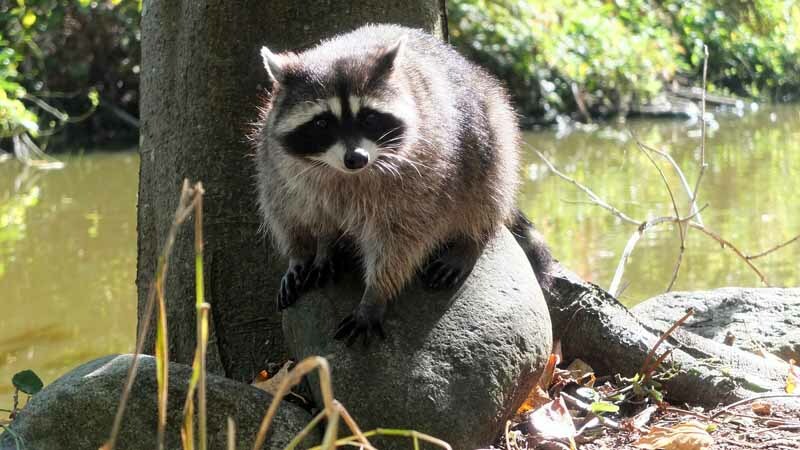 During our many visits to Stanley Park in the years we’ve lived in Vancouver, we’ve fed robins and songbirds from our hands, marveled at huge pink and purple blooms in the beautiful rhodo garden, spied great blue herons nesting in trees, watched the antics of octupuses and beluga whales in the Vancouver Aquarium, laughed at curious raccoons and sprightly squirrels crossing the walking paths, and lost track of time gazing at Canada geese watching over their goslings by Lost Lagoon. There are many ways to see and enjoy Stanley Park. You can drive – and even take a horse-drawn carriage tour – around the park. 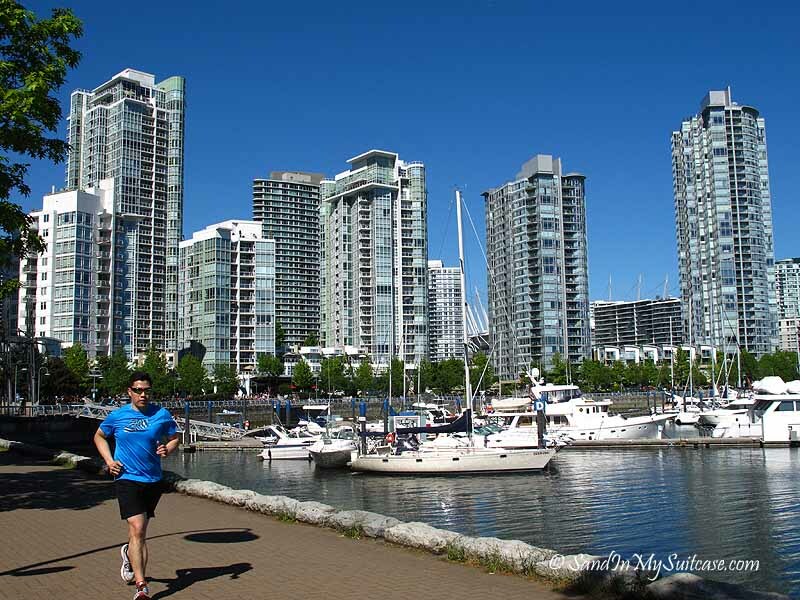 Or you can walk, jog, roller-blade or bicycle Stanley Park – going around the 5.5 mile (8.8 km) Vancouver Seawall. Two lanes: The Stanley Park Seawall is divided into two clearly marked paths – one for walkers and runners (closest to the water), and one for bicyclists and roller-bladers. To avoid accidents, stay in the bike path. Direction: The Stanley Park bike path is one-way only,going in the direction from Coal Harbor to Brockton Point, past the Burrard Inlet, then around to English Bay (see the map above). Many people enjoy just biking Stanley Park. But the Seawall actually extends much further. After you pop out from Stanley Park at English Bay, you can continue along Beach Avenue and all the way around False Creek (an inlet from English Bay) to Granville Island, even a little further to Kitsilano Beach (next to Vanier Park). WHAT DO YOU SEE WHEN YOU BICYCLE STANLEY PARK? 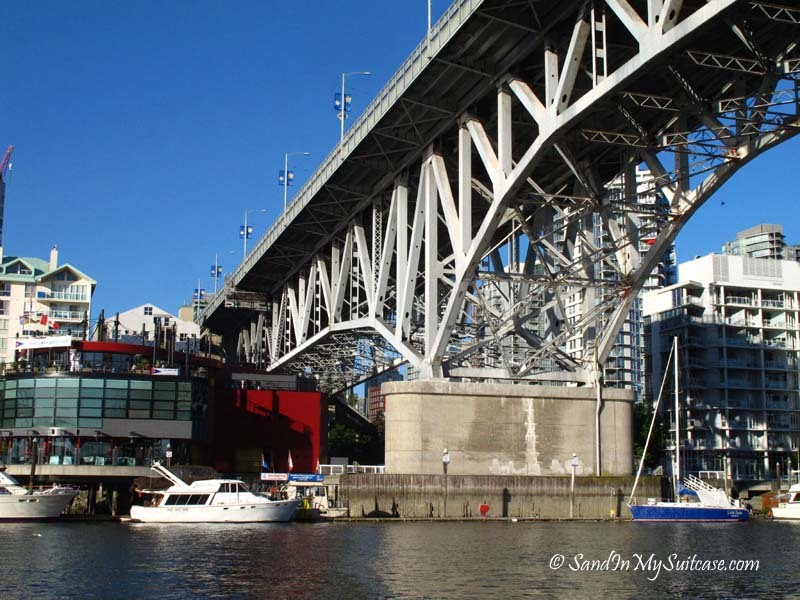 The following are just some of the sights that will catch your attention biking Stanley Park to Granville Island. Being almost surrounded by water, Vancouverites are pretty passionate about all water sports, including rowing. One of the first sights when biking Stanley Park is the Vancouver Rowing Club, still going strong after 125 years. Built in 1914, the Brockton Point Lighthouse was busy in the days of old – alerting ships to potential collisions and warning them of impending storms. 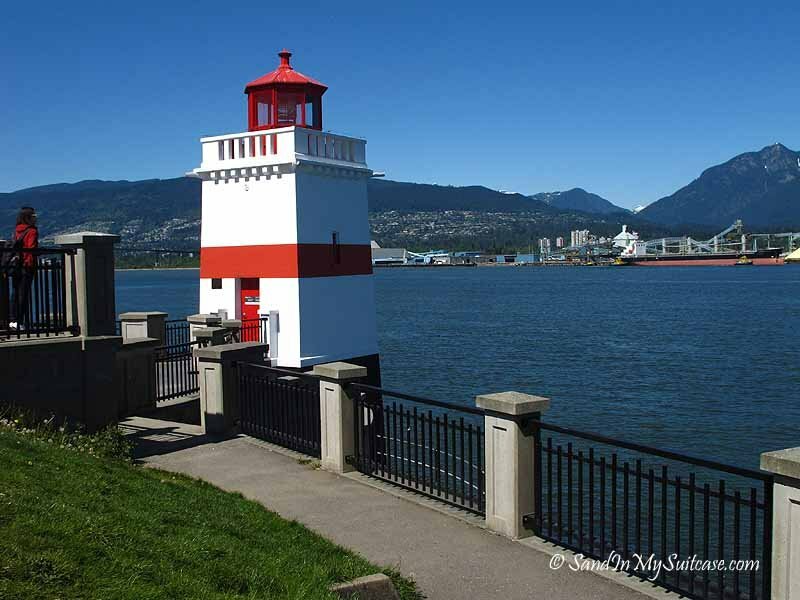 It was decommissioned as a lighthouse in 2005, and now serves as one of Stanley Park’s best viewpoints. We always stop here to look out at Burrard Inlet (which separates downtown Vancouver from Vancouver’s North Shore) and the Lions Gate Bridge. You’ve got to stop at the Brockton Point Lighthouse to take in the views! No, she’s not a mermaid. “Girl in a Wetsuit” (with flippers on her feet and her mask pushed up on her forehead) is a life-size bronze sculpture of a scuba diver sitting on a granite rock in the water. 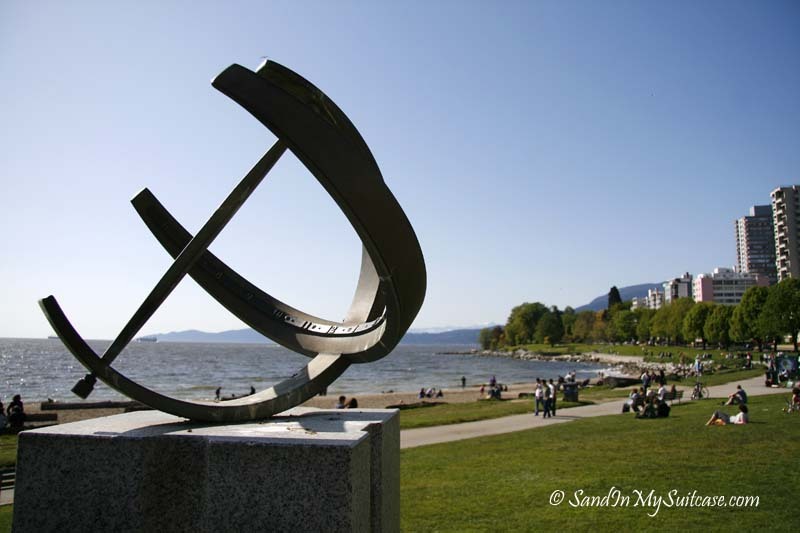 The creator who sculpted her in 1972 was inspired by the fact that scuba diving was becoming quite popular in Vancouver at the time. 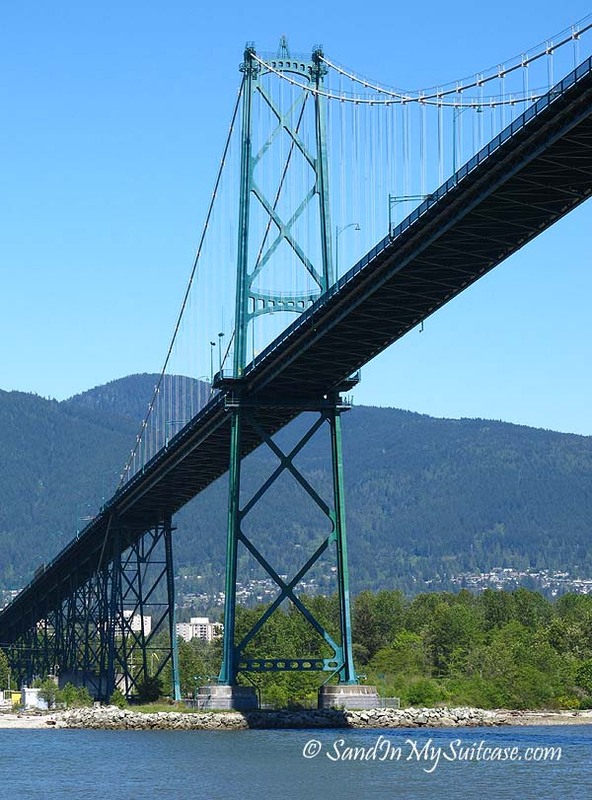 You’ll cycle right underneath the Lions Gate Bridge, a suspension bridge that connects the city of Vancouver with Vancouver’s North Shore communities. Got your bathing suit on? 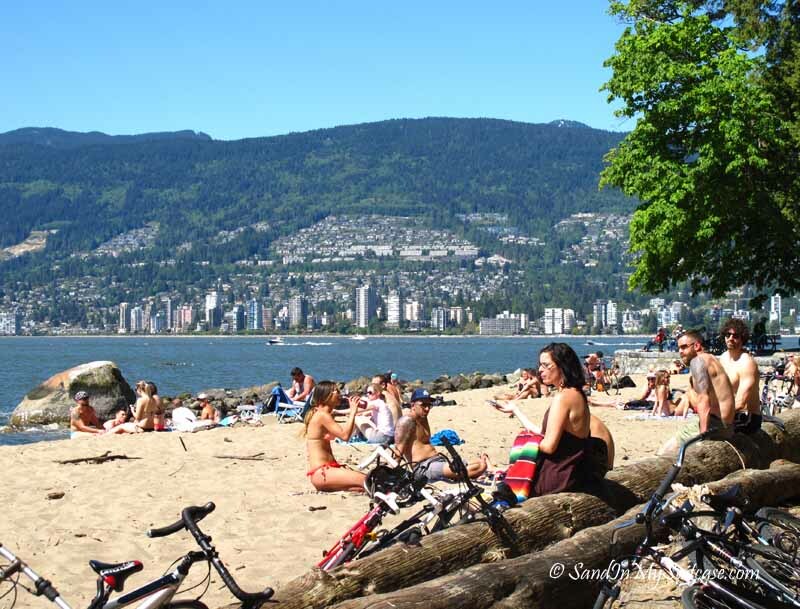 Join the many cyclists biking Stanley Park who stop to cool off for a swim at Third Beach. The logs are handy for resting against in the sand. Washrooms and a concession stand are tucked up behind the beach. On hot summer days, you’ll sometimes find us swimming here – the water is calm and surprisingly warm! Can you swim in Vancouver? Of course! Continue biking Stanley Park and you reach English Bay. 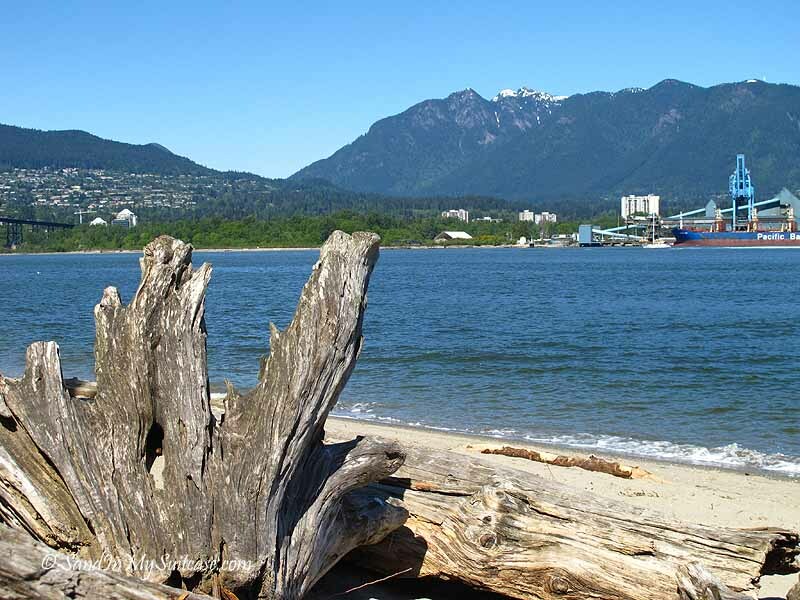 It’s a gorgeous beach area in Vancouver’s downtown, on the edge of Stanley Park. When the thermometer rises, sun-starved Vancouverites love to hang out here on the large swathes of grassy lawn and sandy beach. After English Bay, you come across the north end of Burrard Bridge. From here, the distance around False Creek to Granville Island, another star attraction for Vancouver visitors, is about 4.7 miles (7.6 km). On the north side of False Creek in downtown Vancouver, Yaletown was once an industrial area full of warehouses and railyards. But that was back before Vancouver morphed into the cool city it is today. The warehouses have now been converted into funky residential lofts, and a slew of ultra-modern, high-rise condos have since been built. You’ll find many of Vancouver’s best restaurants in Yaletown – Cioppino’s, Blue Water Café, The Flying Pig – along with swanky hipster bars and nightspots. It looks like a giant golf ball. But Science World is actually a geodesic dome, built for Expo 86 (when Vancouver hosted a huge World Fair). And it’s a very interesting place – a non-profit science center with tons of hands-on, interactive displays and the world’s largest OMNIMAX dome theater screen. When our son was still a kid, the three of us spent many a happy winter day at Science World learning about the human body (should you drink your own pee? ), puzzling over illusions and generally having geeky fun. You’re probably not going to stop here on your bike ride – but Science World is definitely worth visiting in Vancouver (especially if you have kids and it happens to be raining). 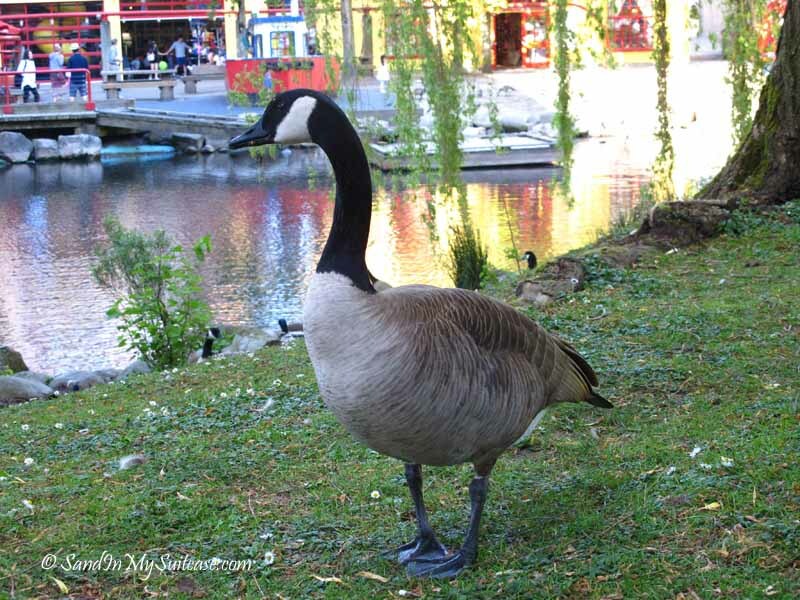 Hey, you made it to Granville Island! Like Stanley Park, it’s one of Vancouver’s most popular visitor attractions, and a thriving shopping and entertainment hub for locals as well. 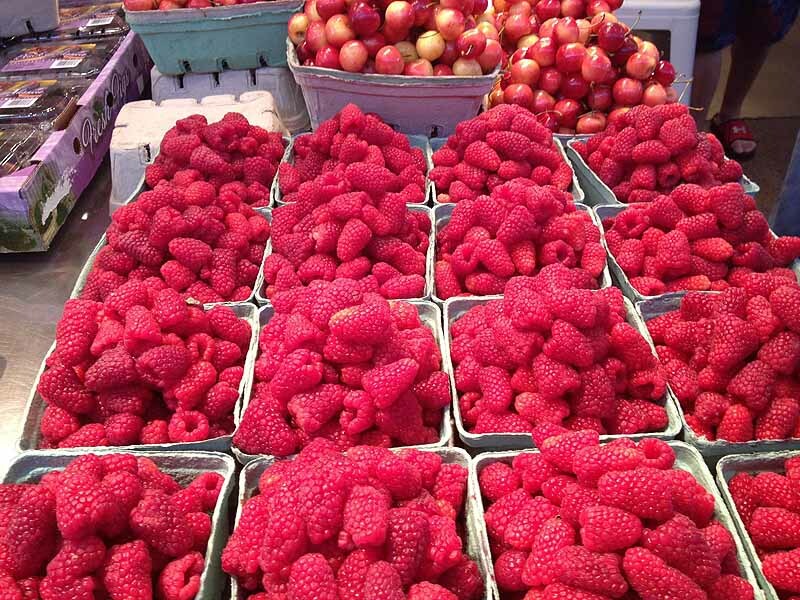 Home to art studios, boutique shops, restaurants, a live theater, craft breweries and colorful floating homes, Granville Island is anchored by the huge Public Market – we never tire of browsing its cheese stalls, bakeries, deli counters, and fresh fruit, veggie and flower stands. But what fun it was to watch and cheer on the last of the 16,500+ runners from over 60 countries! 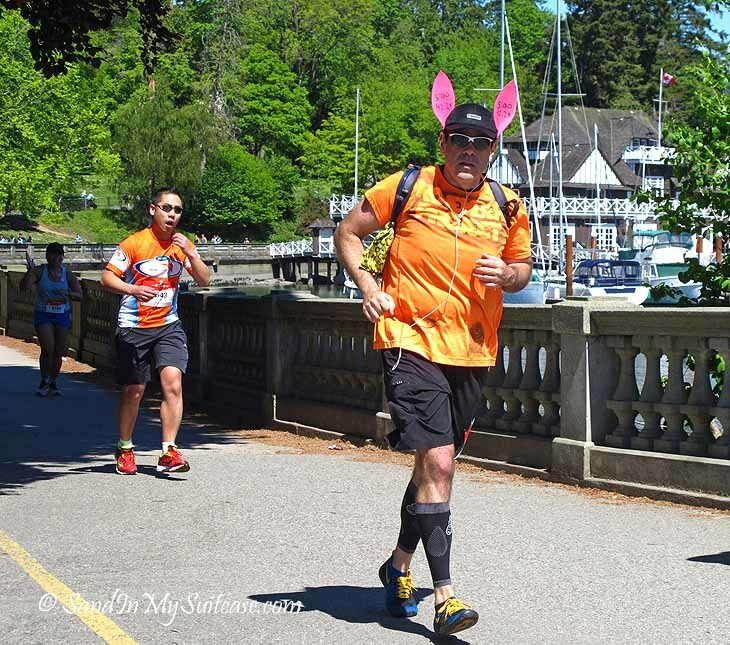 Some were dressed in costumes as they jogged (and limped) toward the finish line. Once we were given the “all clear” by marathon organizers, we were able to start our Stanley Park bike ride on the Vancouver Seawall. How long does it take to bike around Stanley Park? You can comfortably pedal the Stanley Park Seawall (including photo stops) in 2 hours. Allow up to 4 hours for biking Stanley Park and around the False Creek waterfront to Granville Island (more if you stop for a leisurely lunch or swim along the way). 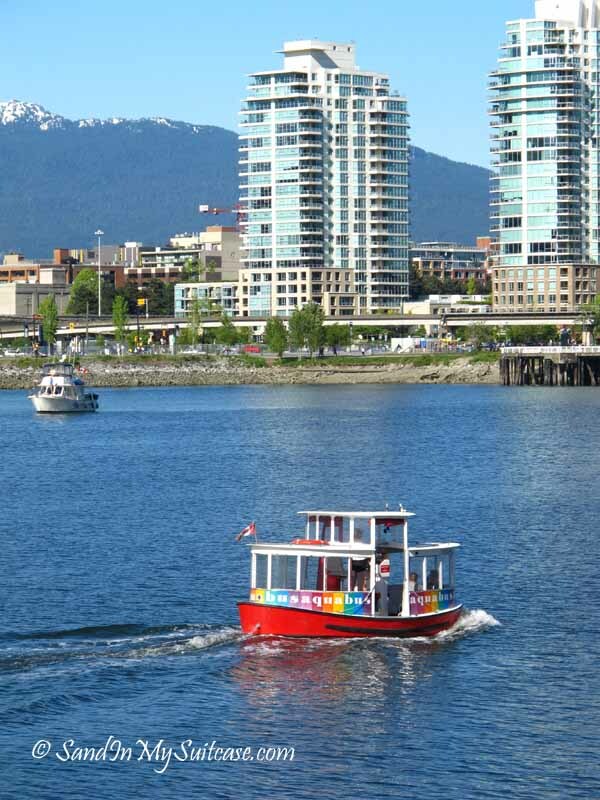 Tip: To cut your return time considerably, Aquabus Ferries can take you and your bicycle from Granville Island across False Creek to the Hornby Street landing near Burrard Bridge. 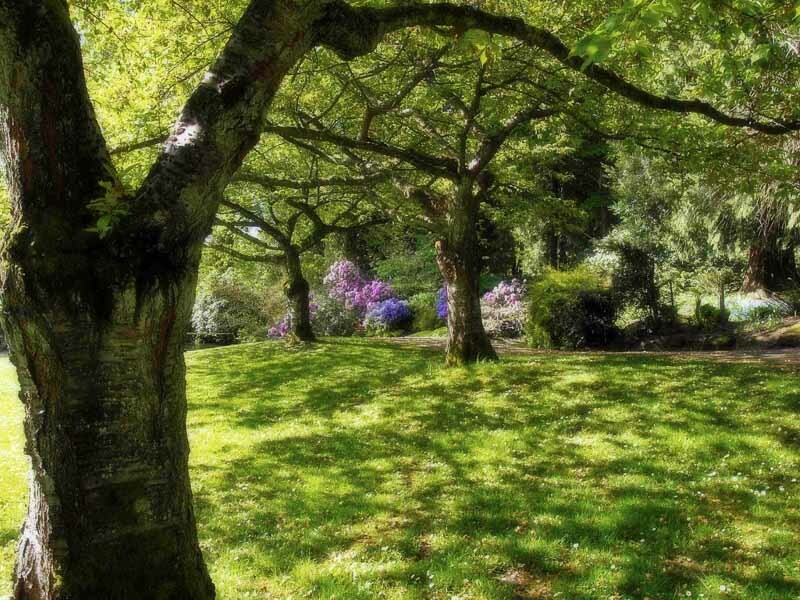 It’s no surprise that enjoying Stanley Park is one of the best things to do in Vancouver. Biking Stanley Park therefore gets very busy on warm, sunny weekends and in summer. You’ll have to share the trail with thousands of other people all wanting to enjoy exactly what you want to do. 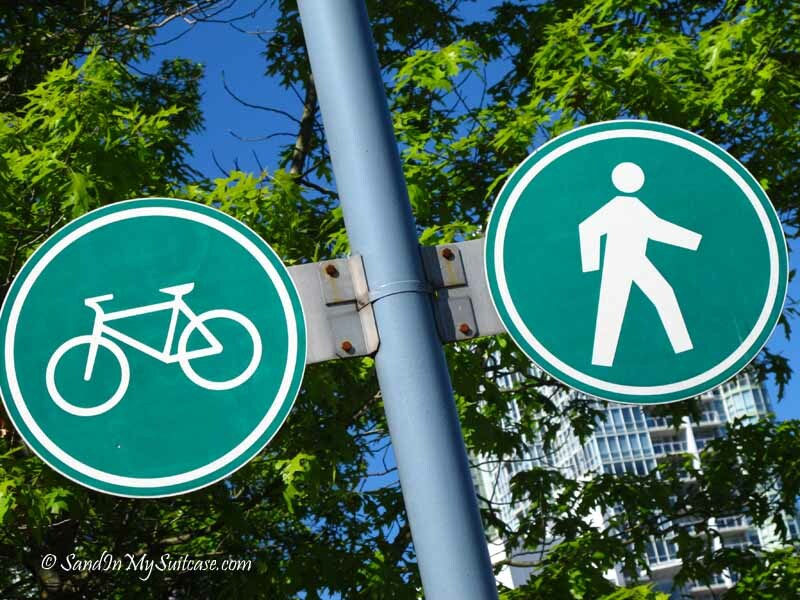 So be careful and go slow – you don’t want to mow down a pedestrian! 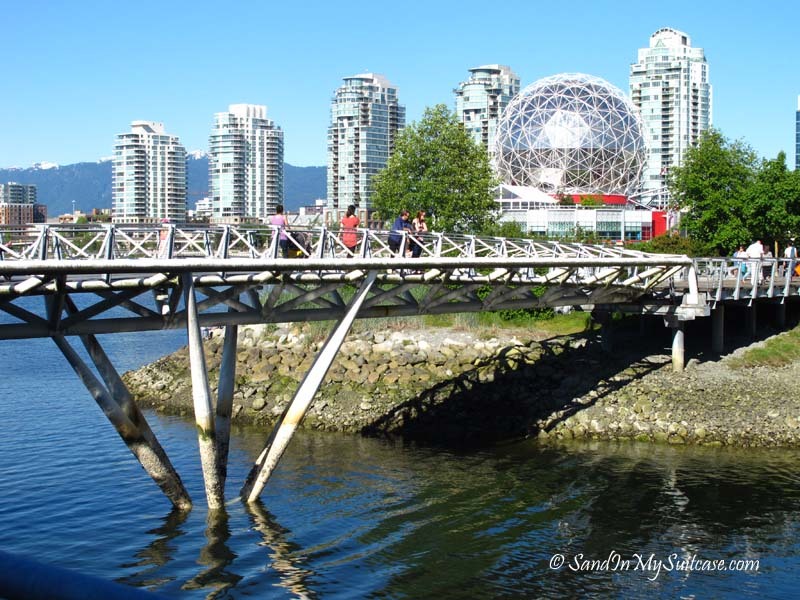 INTERESTED IN HIKING OR WALKING AROUND THE VANCOUVER SEAWALL? Then read this on Tourism Vancouver’s website. The Pinnacle Hotel at the Pier in North Vancouver is a great 4-star hotel (see our review) – you can easily get to downtown Vancouver by taking the SeaBus from the dock right by the Pinnacle Hotel. 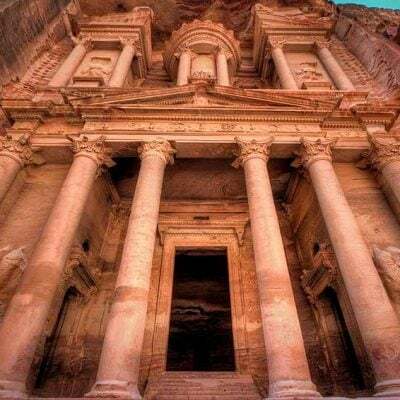 See our review of the Pinnacle Hotel – enjoy luxury for less here! 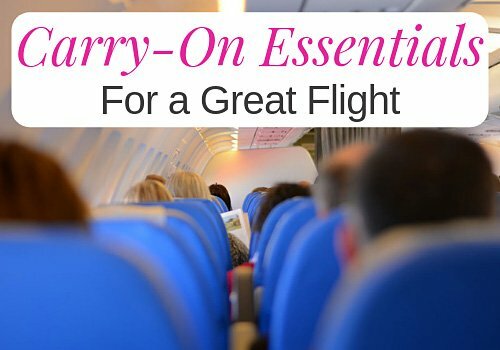 Was this article useful? Then pin to your Pinterest board for others to see! All photos are © Janice and George Mucalov, SandInMySuitcase, except where noted. This is great – I bike Vancouver all the time, such a great city to explore on two wheels, thanks for sharing! Vancouver is a great bike city – and they’re making more and more roads bike-friendly, which is great for people who like two-wheeling around! Stanley Park looks like a lovely place to go biking. The scenery is so beautiful there. 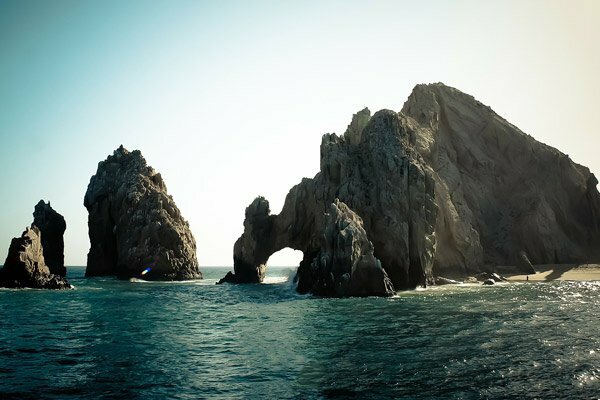 It is – incredibly beautiful scenery! You’ll have to visit Vancouver :-). Vancouver really is amazing! I got to LIVE there for 2 whole weeks a few decades back and I couldn’t believe how beautiful it was. The food was fab and I got to ride around on a bike the whole time….Thanks for sharing and the memories. Happy we could take you down memory lane :-). Ah, but Chicago is a great city, we hear :-). What a beautiful way of getting around Stanley Park – it looks absolutely gorgeous! It IS gorgeous. We never tire of going there :-). Yes, bicycling around Stanley Park is the best way to see it. It’s quite long for a walk (unless you love walking). Lots of visitors rent tandem bikes also. Hope you manage to get your bike out of the warehouse soon, so you can go cycling again! Wow that’s an impressive accolade to get from a source as influential as trip advisor but after reading this, I can totally see why and just really wish that I could ride a bike, though the horse carriage sounds like a nice way to see the park too! This park sounds huge and you’ve seen some incredible wildlife there it seems! I really like the Girl in Wet Suit statue – I’m not sure I’ve ever seen a statue like that, which looks so traditional in its design yet embodies something so modern. 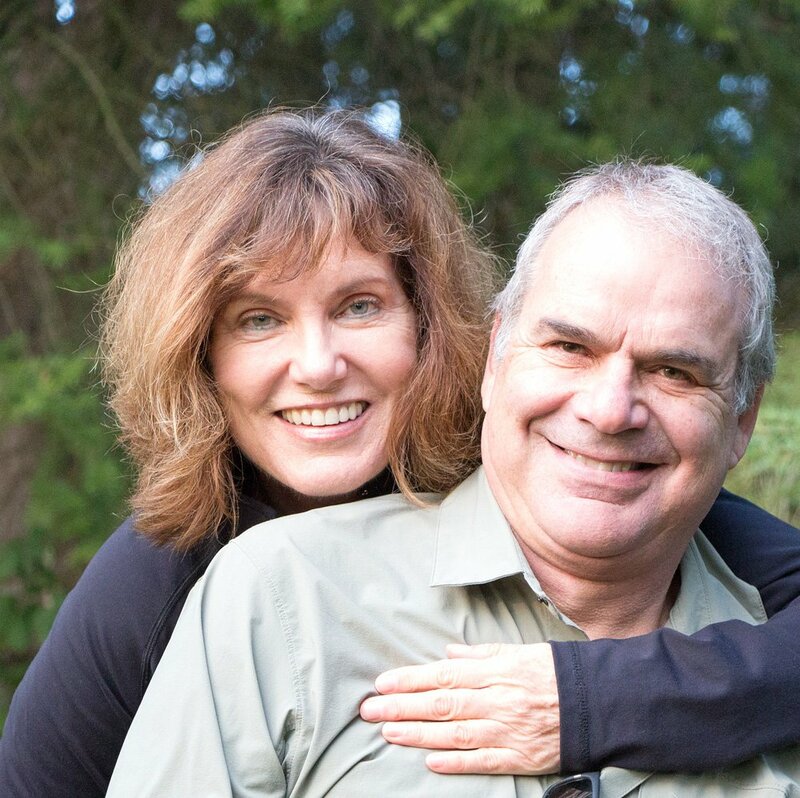 I love Stanley Park and I love your beautiful city, Janice! There is so much to see and do there. We stayed only a few days but I’m planning to go back. Lovely photos, as always. So glad you loved your visit to our city! If you didn’t get a chance to go biking around Stanley Park, hopefully you can visit Vancouver again in future – and experience some of the city from a two-wheeling perspective. 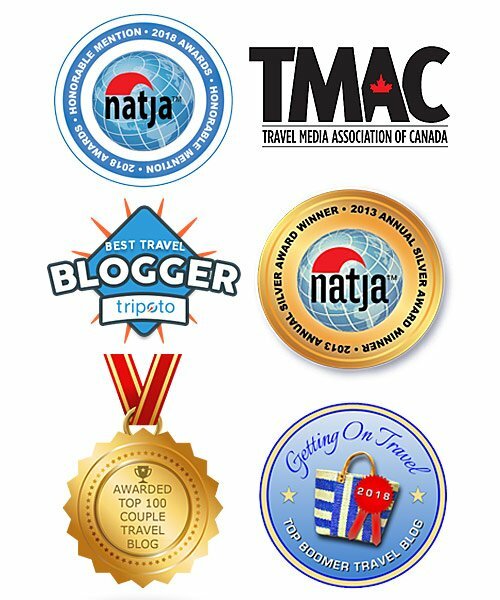 It’s probably time for you to revisit Vancouver! The aquarium is still here :-). You’d no doubt enjoy riding around Stanley Park again (and reliving old memories). I had actually wanted to use it as slow base for a month or two (Spanky has never been) but when I went to find a place on Airbnb it started at about $3500/mo which really doesn’t make sense to us. I don’t know if you guys have any advice on alternatives. $2500 about as high as we usually go and I think Cape Town the only place we’ve been that we’ve had to pay that much during our travels. Vancouver’s real estate is astronomically high – with increases of 29% and more in the past year. The city’s real estate market is crazy right now. Rents are very high too, so we’re not surprised that Airbnb’s are quite expensive. What about checking out Victoria on Vancouver Island and exploring the island instead? They’re also seeing a real estate boom but prices are less there. We stayed in a few lovely Airbnb’s in Victoria recently, which you can get for about $100 CAD night (so on a monthly basis, perhaps $2,500?). Thanks guys for the suggestion, might consider that. Oh boy, never stops in Vancouver does it. I remember 5 years ago they were saying the bubble would eventually burst but just keeps going every year. Back when I was there (this is early 80s) the place felt like a small, provincial city. One of the most beautiful settings on earth though! Nope, Vancouver is all grown up now :-).